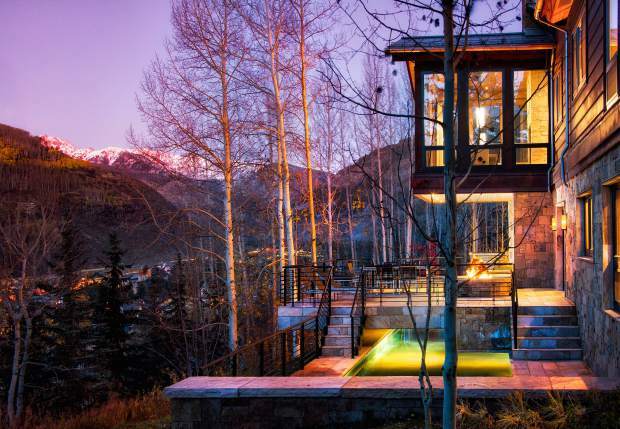 LIV Sotheby’s International Realty represented a significant sale of $23 million of a ski-in/ski-out single-family residence in the Vail Valley. Attracting buyers from around the world, the benefits of living in the Vail Valley are endless, including year-round activities, a tight-knit community feel, high-end shopping and dining and spectacular mountain views. LIV Sotheby’s International Realty’s just-released Micro Market Reports deliver positive results for the Vail Valley real estate market moving into the fourth quarter of 2018. Demand for real estate in the Vail Valley continues to rise, with 11.1 percent fewer average days on market in 2018, compared to January through September 2017, and an 11.5 percent increase in average price to $1,237,349. Total dollar volume sold for all properties also increased by 9.8 percent in January through September 2018, compared to 2017. For sellers, now is an ideal time to list your property in the Vail Valley, with buyers spending more and inventory lowering. Highlights for the Vail Valley include a 20 percent increase in average price of single-family homes in Beaver Creek and a 26.2 percent increase in highest price single-family home sold in Beaver Creek at $13.5 million in 2018. The town of Vail saw a 19.3 percent increase in average price for all properties January through September 2018, compared to 2017, and nearby East Vail saw a 28 percent increase in average price for all properties, as well. Vail Golf Course/Spraddle Creek reported notable increases for January through September 2018 compared to 2017, with a 188.7 percent increase in average price and a 219 percent increase in highest price for all properties. The highest price for Vail Golf Course/Spraddle Creek January through September 2018 is $18.5 million. LIV Sotheby’s International Realty represented a significant sale of $23 million of a ski-in/ski-out single-family residence in the Vail Valley. This impressive sale, as well as the noted growth in 2018, serves as a testament to the strength of the Vail Valley real estate market. LIV Sotheby’s International Realty compiles quarterly and year-end reports of micro-market statistics to help consumers make effective real estate decisions. Contact a LIV Sotheby’s International Realty broker or email info@livsothebysrealty.com for a printed copy of these Micro Market Reports.